Get the details of the 2017 Farm Bureau Annual Meeting at the end of October. If you’re in agriculture in Florida, you’re likely headed to the 2017 Florida Farm Bureau Annual Meeting. Hosted by the Florida Farm Bureau for members, the meeting is “the time when our voting delegates discuss and approve policy resolutions submitted by county Farm Bureaus statewide.” In this way, all the individuals in Florida’s agricultural community who are a part of the Florida Farm Bureau can have their voice heard. As your industry partner, AgAmerica Lending will be attending to keep up on current trends in agriculture and ensure we understand, and continue meeting, the evolving needs of today’s farmers. Scheduled for October 30th to November 1st, the annual meeting is being held at the Sawgrass Marriott Golf Resort and Spa in Ponte Vedra Beach. Make sure to meet up with Relationship Manager Patrick Spinosa at the AgAmerica-sponsored Welcome Reception October 30th. Take a look at the agenda for the event below. The annual meeting promises a packed three days of events. 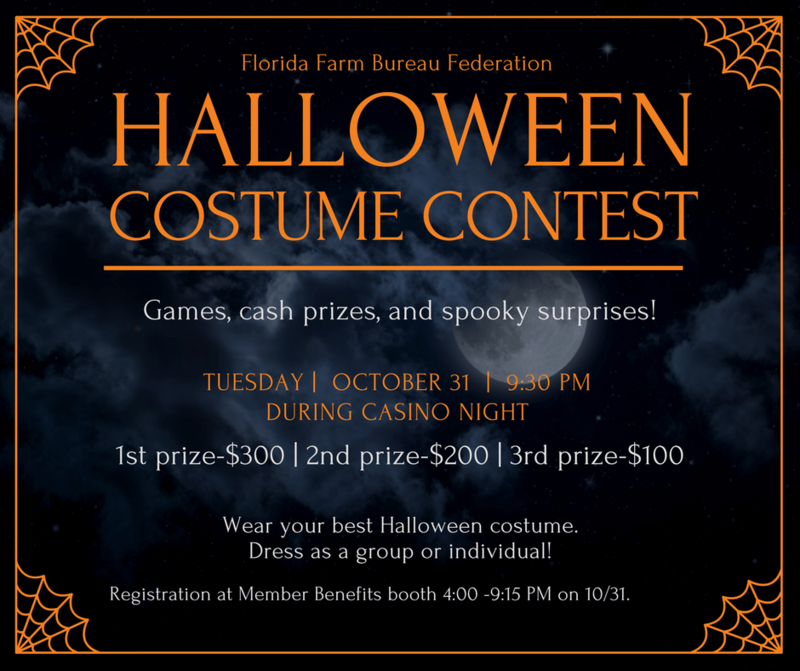 According to the Florida Farm Bureau, in addition to the meetings and sessions, there will also be a number of awards and recognition programs honoring those in the industry, a member’s benefits showcase, and a slew of fun activities and presentations. AgAmerica Lending supports the ag industry in 48 out of 50 states, but Florida Agriculture holds a special place in our hearts because we’re headquartered in Central Florida. If you’d like to discuss our custom loan packages and options to help the long-term financial health of your agribusiness, contact us today!